Give your wardrobe a boost with this versatile crossbody bag as you give your mobile phone a boost with it's handy, hidden charger. The Mighty Purse flap clutch has a stylish, fuss-free design with generous storage to hold all your daily essentials. The versatile MightyPurse flap x-body bag is the perfect sidekick for a night out, and can be carried as a clutch by removing the shoulder strap. Top flap with magnetic snap over zipper closure. 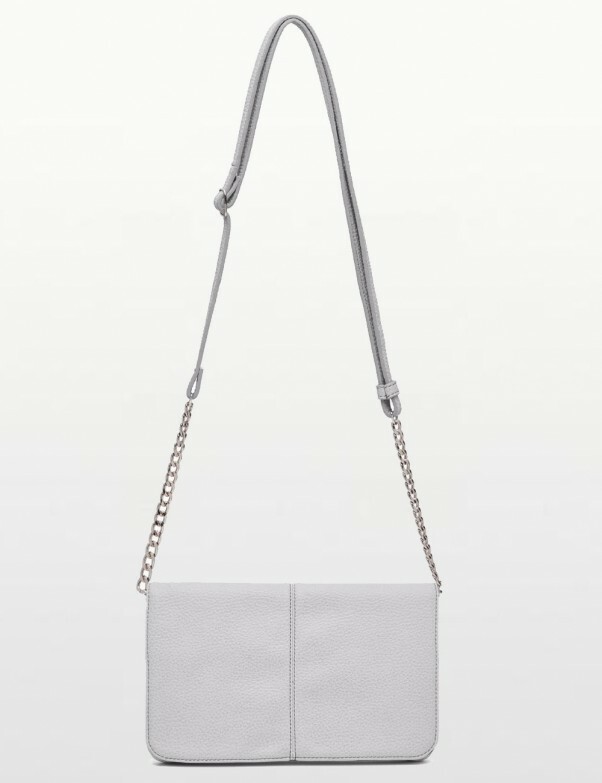 Removeable Crossbody strap with chain detail. 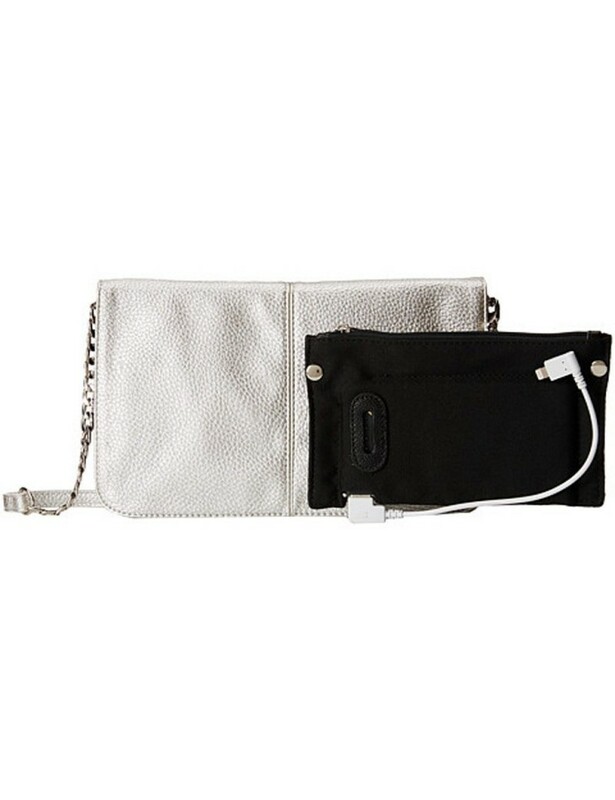 Removable inner pouch holds a hidden high capacity rechargeable battery that can recharge your smartphone up to 2 x per charge. It is designed to work with all micro-usb smartphones including Apple®, Samsung®, HTC, Blackberry®, LG and Android Smartphones. Lined interior features a zippered pocket and two credit card slots.